Newcastle Tiling undertakes a prompt and professional leaking shower repairs throughout Newcastle. Through years of thorough experience together with deep skill and knowledge we are specialised in shower repairs, shower waterproofing and shower sealing services. We come up with the total shower solution to provide you with a comprehensive service. Our team endeavour to provide you with the excellent workmanship at a cost-effective way. Our skilled professionals have the expertise to detect the most difficult shower leak accurately. To access your shower leakage we use moisture detector. Focusing on our shower repair and waterproofing services first at the outset of any project we inspect and assess bathroom, grout and shower areas to check for water penetration. We trust in conducting leaking shower repairs correctly by going to the source of the problem. Our service will not only repair any leaks but also give your shower and bathroom a new facelift. We rule out the quick fix solution as we are committed to do our task right. Our quality service always saves you time and money. A leaking shower can give rise to consequential damage. Sometimes the damage is expensive enough to repair if the problem is not fixed up promptly. There are various internal as well as external elements responsible for shower leak. At times a water leak in the area of the shower is identified due to the fault of the enclosure. Sometimes even greater occurrence of water leaks stem from issues related to silicone sealant and specifically where, how and when it is applied. As the building moves naturally with hot and cold weather is primarily responsible for the occurrence of water leaks. The main reason for a shower leak? Water leak in the area of the shower stems from various reasons but the main reason for shower seal leakage is building movement. As buildings settle into their foundations. As buildings move consistently with hot and cold weather. 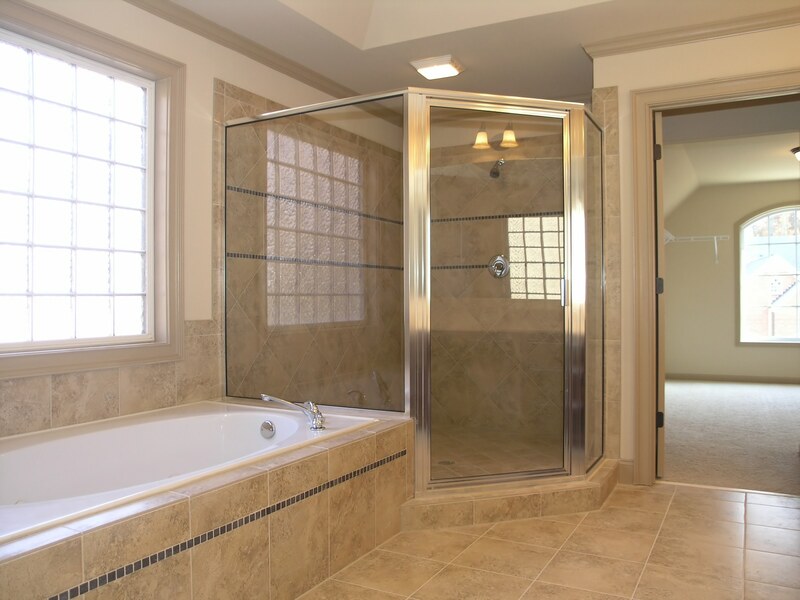 The building movement that takes place naturally according to the weather changes as hot and cold brings out the weakening or cracking of grout, shower seal, tile and floor/wall junctions within the shower or bath. This movement allows water to pass beneath the surface of the tiles. The waterproofing membrane below the surface of the tiles is meant to catch/stop water pass through the surrounding areas. But this waterproofing membrane also is vulnerable to building movement, poor installation as well as chemical breakdown in course of time. Unfortunately, once this membrane is cracked, water runs into the surrounding areas causing damage. A small crack in the grout between tiles in a shower or tub also can cause leak. Generally there is a space between tiles where they meet. So, if water is frequently in contact with the tiles, the water can pass through the cracks or separations. When water drains from a shower or tub, the water seeps through the grates in the drain and into a pipe underneath. If the connection between the pipes and the drain itself is loose, it causes the water to be spilled out into the area beneath the drain, which can lead to damage to the sub-flooring or to a ceiling beneath or near the drain on a lower level. Why are our leaking shower repair methods so competent? We come up with a dynamic combination of specialised tools, effective products and unique procedure that allow us to undertake our task promptly and competently. Through our unique procedure and products we make your water leak area 100% waterproof without removing tile. This stunning procedure saves you time, money and inconvenience. Your leaking shower can be sealed and ready to use within a short period. Check minutely every corner of the leaking shower for signs of water penetration. Prominently check out the internal areas of the leaking shower or bath for damage or deterioration. Remove any deteriorated sealants such as silicon. Strip the existing grout out of the walls where necessary. Strip out any damaged grout from the floor area as needed. Re-grout walls where necessary; replace damaged grout on floor as needed. Silicon the internal areas of the shower screen. Apply sealant to all junctions and drain, (waste), area if needed. Waterproof the leaking shower or bath area by applying water sealant on floor and walls. Usually we paint or spray this sealant on the wall and floor tiles. This procedure forms a waterproof barrier beneath the surface of the grout. This helps soak in and waterproof anything that is penetrable such as grout lines and hairline cracks. At the end of our task we remove all tools and inspect to ensure workspace is left clean and tidy. Fully remove the grout from the walls and floor of the shower recess. Fully remove all silicone around the shower screen if applicable. Grout walls in premium quality flexible grout with additives. Inject two part epoxy resin into all main internal joints and floor joints of the shower recess colour matching existing colour. Lifetime warranty against any further leaks.